Orlando Health is one of Florida’s most comprehensive private, not-for-profit healthcare networks serving nearly two million Central Florida residents. As a community-owned organization, they take their mission to heart to improve the health and quality of life for the individuals and communities they serve. Responsible for the delivery of 14,800 babies annually across the nine-system hospital, Orlando created the Winnie Palmer Hello Baby! 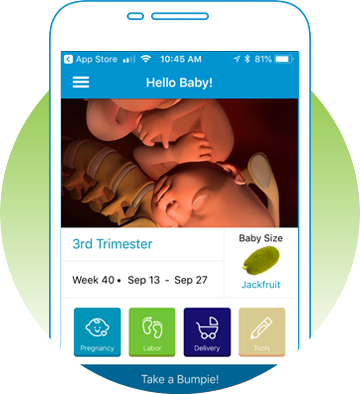 app to offer expectant parents weekly updates, medically-trusted information and useful trackers and tools. The response has been very strong; they’ve seen a high adoption rate of 35.8% in just the first six months with over 560 monthly active users. Studies have demonstrated that the use of pregnancy apps to engage expectant parents leads to a 68% increase in attendance at prenatal appointments, especially in high risk patients who often have limited access to resources and care during pregnancy. Interventions incorporating a mobile solution can even the playing field, as, even in the lowest U.S. income brackets, 86% of individuals own a mobile phone (over 75% own a smartphone), and apps offer an accessible channel of communication for these patients and their care providers. At a cost of $196 per missed appointment, Orlando sees a monthly savings of $14,182 for its more than 560 monthly users. As adoption nears 50 percent, the savings will increase to approximately $18,209 per month.